Yesterday I was privileged to be able to witness and capture a bit of Sierra Leonean history that made me very proud to live in this country. 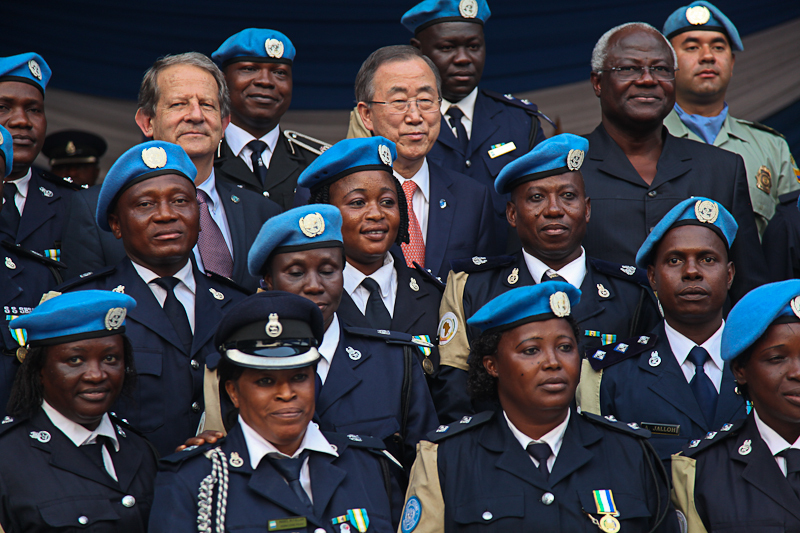 In 2002 the brutal, and well documented, civil war ended in Sierra Leone and the country famously became host to the largest number of UN peacekeepers ever to serve in one place. At one point over 17,000 UN staff were in country keeping the peace. Yesterday saw Ban Ki-Moon (UN Secretary General) and H.E. Ernest Bai Koroma (President of Sierra Leone) mark the official closure of the United Nations Integrated Peacebuilding Office in Sierra Leone (UNIPSIL). This office has existed since 2008 building the capacity of democratic institutions in furtherance of good governance and the promotion and protection of human rights. The closure of UNIPSIL is historic as it is the last post in country dedicated to fostering peace. Sierra Leone has now moved on to such an extent that it sends its own UN peacekeepers out to other countries in need of assistance such as Mali. In his speech at the State House Ban Ki-Moon reinforced that while there is still a lot to be done in Sierra Leone the focus is now on sustainable development rather than conflict resolution or peace-building. While we remember the brave men and women who lost their lives protecting innocent people during the horrific war it is also time to start to look forward in Salone towards what could be a very bright future. The country now has the second fastest growing economy in the world and there is huge potential for it to bring itself out of poverty if the right moves are made by Sierra Leone’s leaders. President of Sierra Leone speaks to UN staff, press, members of civil society and political leaders and thanks them for their support in developing peace in Sierra Leone. 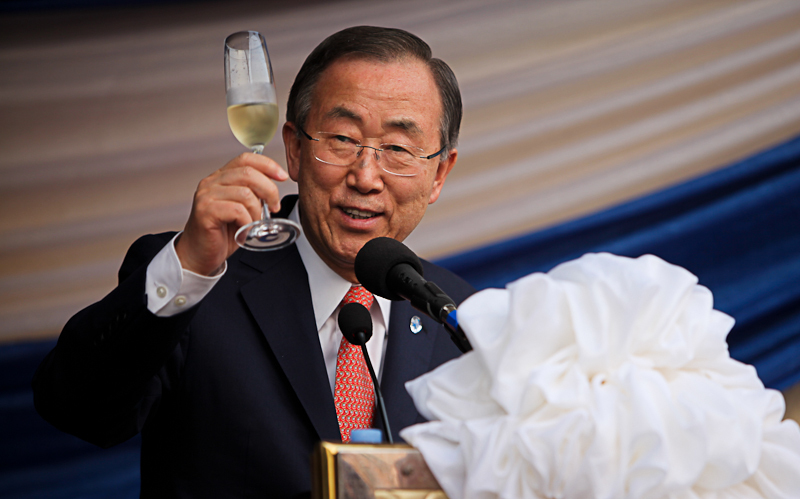 Ban Ki-Moon raises a toast to Sierra Leone – to its resilient people and to its progress since 2002. 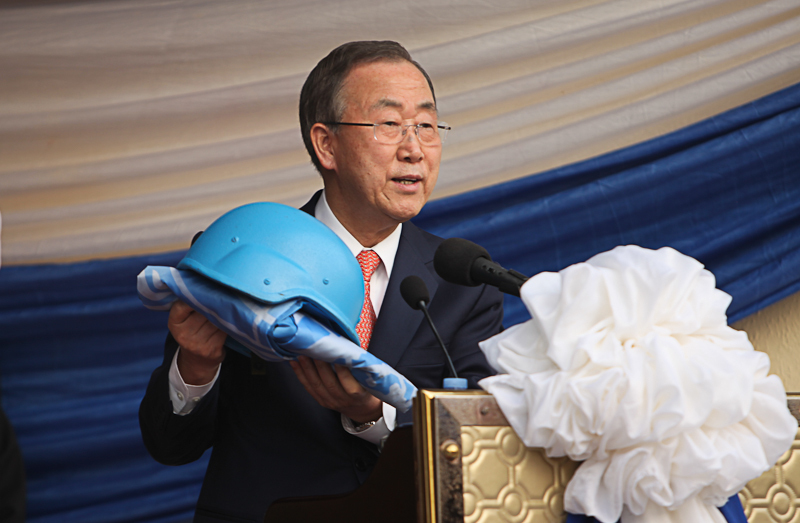 The symbolic blue peace-keeper helmet is handed by Ban Ki-Moon to the President of Sierra Leone. 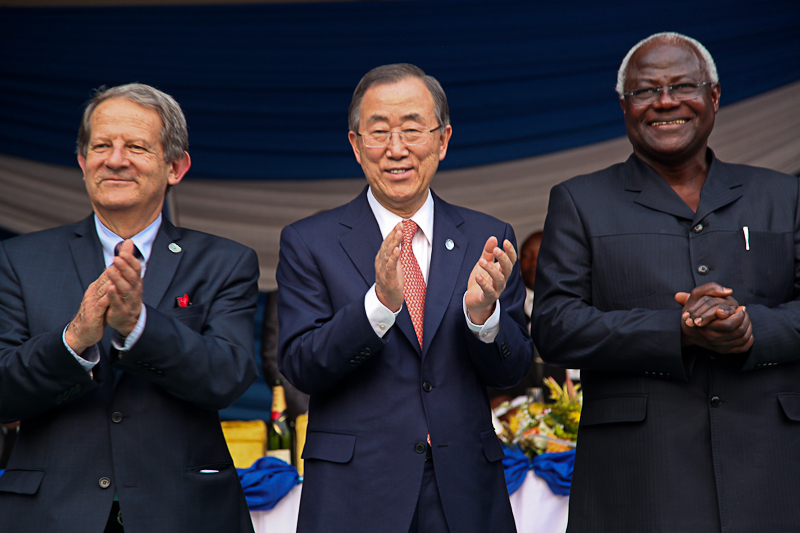 UNIPSIL Chief Toyberg-Frandzen, Ban Ki-Moon and H.E. 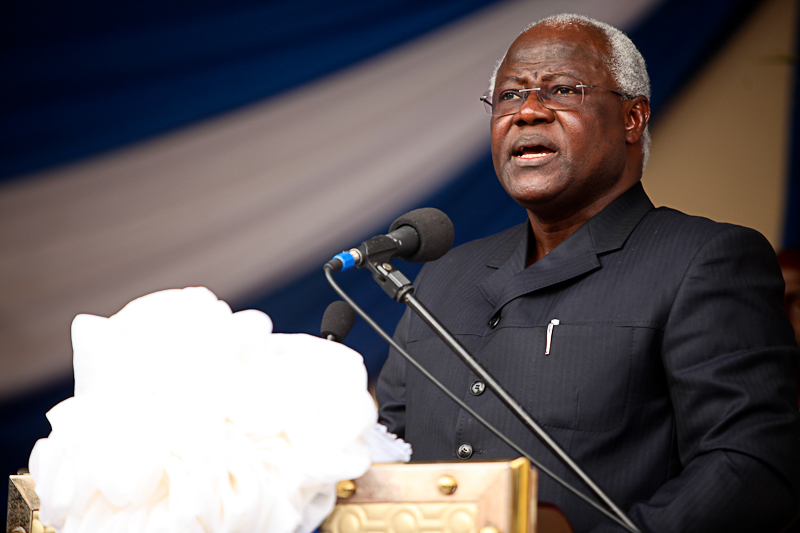 Ernest Bai Koroma celebrate. Very nice photography, capturing people is always difficult… Your writing and description is excellent. Wonderful blog. Kind comments – thanks so much.